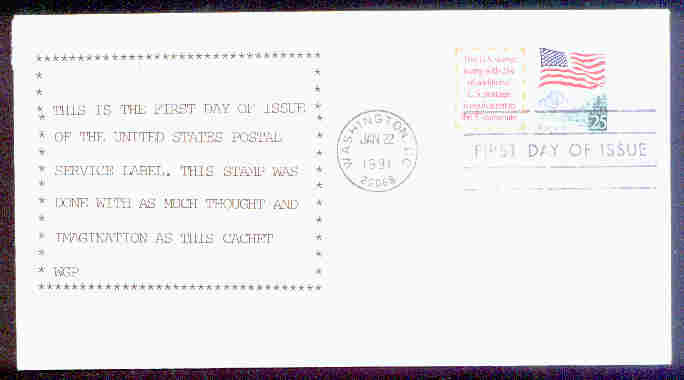 a World Series of Philately (APS) show dedicated to first day covers and the annual convention of the American First Day Cover Society (see below). 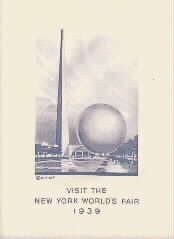 "...There wasn't time to create a design an prepare a plate for the cachet, but Bill Decker's company had a plate with the Fair theme, for use on letterheads, and this perisphere and trylon motif (symbolizing the Fair) was the right size for a cachet. With a minimum of reworking, Al Nelson converted the letterhead plate, and thus the "first" ArtCraft engraving came into being. With reruns, only about 2,500 impressions were made, so it's by far the scarcest of them all. ..."
Colorano started producing covers January 19, 1971 with Scott number 1423. They are still producing covers to this day. They produce a beautiful silk cachet that adheres to the envelope. Sadly the JPA is no more! - c.2007 +- ; ajw. One man, David Saks (Composer of The Official Songs of Memphis "One Last Bridge" & "In Memphis" ) says he has The World's Greatest Postal Collectible - the first FDC issued for the Elvis Presley stamp! And a few philatelic resources. Now, while some of the following may be out of print they're good information and you can search Amazon.com for 'First Day Covers ' related books. Scott/Mellone First Day Cover Catalogue (includes US First Class Postage) - "... the Price Guide that is the 'National Standard'. Mellone's Planty Photo Encyclopedia of Cacheted FDC's - (10 volumes) "Photos of every known printed cachet ... 1901-36 ... Scott#'s 294 - 784"
E-mail: Marty Severe: "I also produce and sell the ArtCraft variety catalog which lists over 12,000 ArtCraft collectibles and contains prices." See Also: Dealer listing for AFDCS, .us-OH for address. Claude C. Ries Chapter - AFDCS - So. Calif.
"..packed with articles by famous stamp & cover writers such as Les Winick, Lloyd deVries, Wayne Youngblood, Gretchen Moody, George Griffenhagen, and David Straight. Along with article reprints from the American Air Mail Society's Airpost Journal. The Brookman Times also has ads, and special offers from leading philatelic companies like; Brookman Barrett & Worthen, Artcraft Cover Society, Champion Stamp Co., Henry Gitner, Eric Jackson, Brookman Stamp Co., Alan Miller, Nutmeg Auctions, Gary Posner, Regency/Superior, and others." Home to Artmaster, House of Farnam and Cover Craft Cachets. Contact Bill Toutant for the best selection of past issue covers anywhere -- we have it all!" 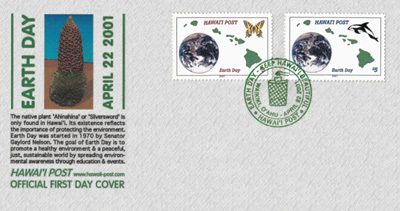 Hawai'i Post - "Hawai'i's personal delivery service"
And don't miss Bill's "Seal-A Meal" Stamp Mounting System .. Interesting person; inspired prisoners at AZ State Pen to make FDC covers ... and made a few of his own (which I collect). He collects Germany. "I personally design, hand draw, and color each cachet, thus making each cachet an individual piece of artwork. When designing my covers I try to think of a design that always relates to the stamp issue and might add some historical value to the cover. Unfortunately, since this is mainly a hobby, I don't always have the time and resources to create a cachet for every US issue. Autographed sports and politically related cachets..
(note: from Home page there is a link to 'Doris Gold' FDC's. "For those who wound up here not knowing what a cover/cachet is..."
P.O. Box 2286, La Grange, IL 60525-8386, U.S.A.
"Colorful Limited Edition Hand Painted First Day Covers"
"America's Most Popular Cachet Maker" - Exercise his offer of a free hand painted cover! - I did. "Dealers of quality U.S. covers which include First Day Covers, Postal History, Air Mail Flights, Zeppelins, Navals, Advertising, RPOs, Hand-Painted and our own lines of First Day Covers." Also holds a bi-monthly Mail Bid Sale. In an e-mail updating (c.201105) his URL John notes, "From about 2001 to 2006 I was fairly active in adding cachets to uncacheted envelopes, all clearly identified as Add-Ons on the back – "FDCUSA". Time permitting I would like to get back to that. ...Time permitting (;0) I plan to make public my image database of well over 80,000 FDCs from the 1920's to now. Shortly I will be able to generate color catalogues for these as well. ", John White, May 14, 2011. Says he has over 2,000 first edition FDC's in stock! Sadly, the PCSG has disbanded a/o 2007 - ajw. A highly rated and useful utility - aj.